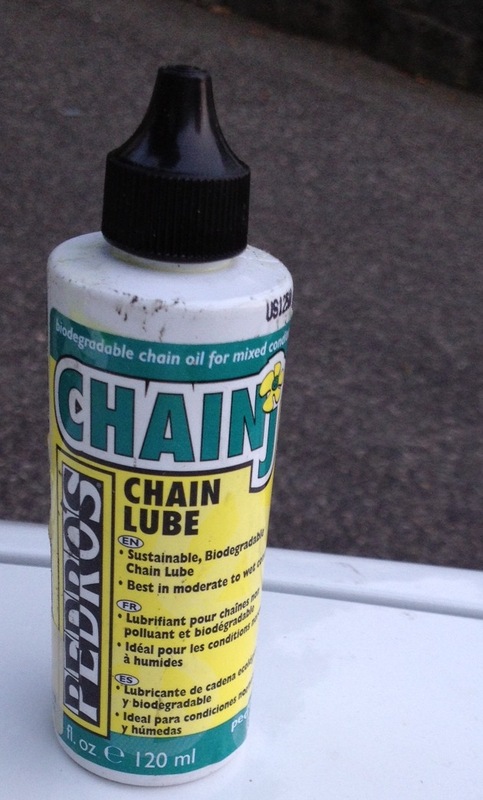 I’ve been using Pedro’s Chainj as my main bicycle chain lubricant, and it’s been great! Application of the lube is easy (just drip out of the bottle and wipe away the excess), and the chain runs smoothly on the gears once it’s on. I also love that this stuff is biodegradable and partly made with vegetable oils. Next time you’re tuning up your bicycle, consider giving this a try! I got my bottle from EMS, but it looks like they no longer carry it; they’ve still got Pedro’s Go! bike lube, which seems similar. I’ll probably end up using that in the future. This entry was tagged bicycling, chain lubricant. Bookmark the permalink.